Taffy, Jan, and I had such a fun time photographing the sculpture outside the Chicago Botanic Garden Orchid Show. I was particularly taken with this sunburst and even got four on one image. But when Jan came over to look at the images with me, she said to zoom closer and closer until an abstract design came out of it. Welcome to 365, Jan! This is very cool and interesting. I will definitely check Taffy's post as I cannot figure out what it is. Very cool -- great way to turn it into a total abstract! And the light burst takes center stage, which I like. I like your close-up version of this sculpture. Stunning capture with wonderful tones and twirls. Of course the sunburst is amazing, fav! Super cool close up of it Junko! I know what it is, but I just love this interpretation Junko. looks like a great day was had! This is wonderful Junko, an abstract with special wow factor. 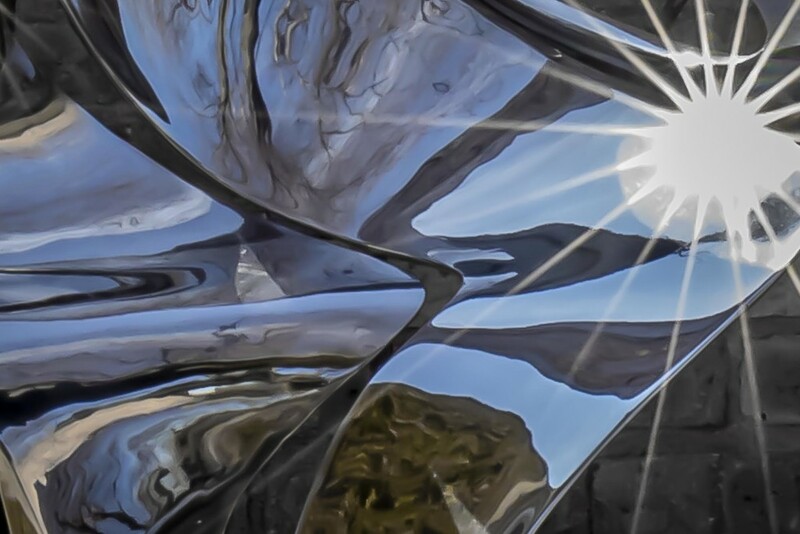 Great abstract shot, I like the close-up sunburst. I'd never have guessed what it was until I saw Taffy's image. Love it and now I have seen Taffy's image of the whole thing I can see what you have done. Great abstract! Id seen Taffy's post first before seeing this, and at first thought what a lovely abstract, but very quickly recognised it as the same sculpture as Taffy's shot. Really lovely detail.